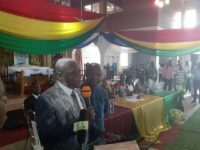 Chief Akwannuasa Gyimah, the Municipal Chief Executive (MCE) for Asokwa has presented ten (10) refuse bins to Kumasi High School (KUHIS), a grade ‘A’ senior high school in the Ashanti Region. 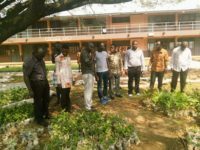 The donation was in response to a formal request made to the Asokwa Municipal Assembly by the school authorities for support to deal with refuse on campus. 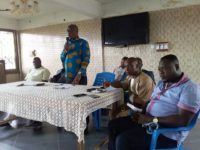 Presenting the bins at a brief ceremony at the school compound, Hon Richard Kusi, Assembly member for Gyinyase and the representative of the Asokwa MCE tasked the school to use the bins for the intended purpose. 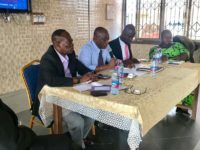 He promised that the Asokwa Assembly will make available to the school a central container which can deal with a higher volume of refuse than what the bins can contain. ‘’I, on behalf of the Asokwa MCE is donating these 10 bins to you so as to enable you deal with the refuse on campus. We also promise to send to you a central container for refuse collection when we take delivery of same later in the year’’, Hon Kusi posited on behalf of the MCE. 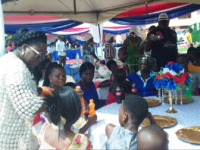 Mrs Juliana Anim Yeboah, Assistant Headmistress in charge of domestic duties at KUHIS thanked the MCE and his representative for the gesture. She noted that even though they requested for about 50 bins from the Assembly, it was heartwarming the MCE had attended to the request and donated 10 in a swift fashion. Mrs Yeboah hoped the central container promised them would come early to help the school deal with sanitation on campus. 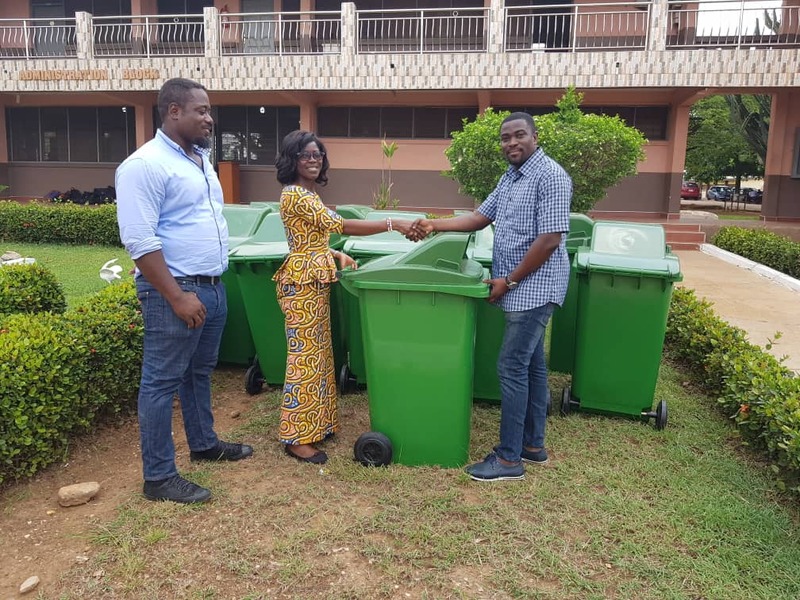 She, however, promised to keep the bins in good shape so as to make it last long for the school and help them deal with refuse collection on campus. 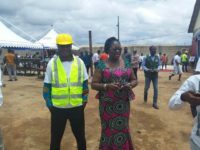 ‘’We are happy that the Asokwa Assembly like the speed of light have responded to our request and provided us with these ten bins and we hope the central container they have promised will also come very soon’’, the Assistant Head intimated happily.